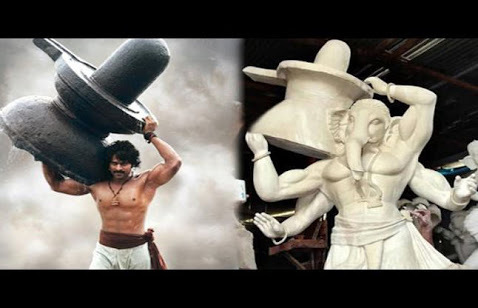 Mergify: Baahubali Ganesh and Srimanthudu Ganesh. 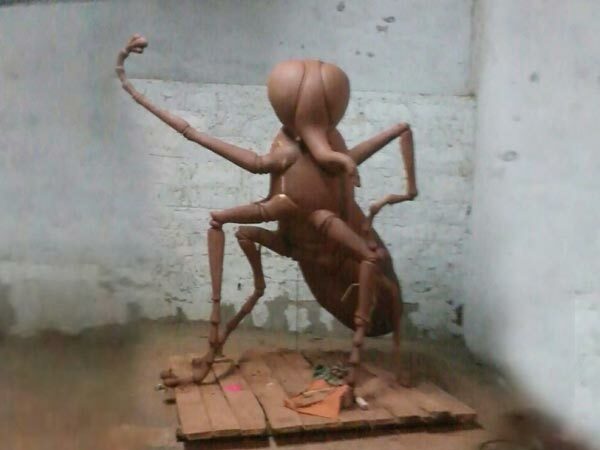 Why people make such idols? 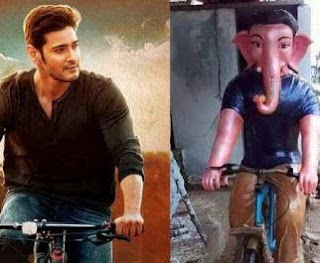 Baahubali Ganesh and Srimanthudu Ganesh. Why people make such idols? We've successfully completed Ganesh Chaturdhi for the year 2015. But did we do everything in a good way? Please question yourself for a moment because you are going to see the most controversial charticle today. When we celebrate vijayadashami we set up idols of goddess Durga as mentioned in the scriptures. Same in case of Sita Rama Kalyanam which is celebrated all across the world on auspicious Sri Rama navami day, we are setting up the idols of Lord Rama and Sita, without changing their forms. 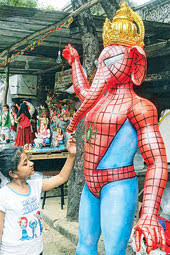 But why should we change the attire of Lord Ganesh ? Is it good or bad ? Many people may rise their mixed opinions but the fact behind this is that we should not change the attire of Ganesha beyond the scriptures. When we look into Mudgala Puranam, it says Lord Ganesh has 32 forms. One may argue saying that why can't we take a form other than those 32 forms? For them there is an anecdote. When Lord Ganesh is returning after taking meal arranged on occasion of his birthday, Celestial god, moon, laughs looking at his body. Goddess Parvati, mother of Lord Ganesh gets anger and curses moon saying that if any living being sees moon directly or indirectly faces many problems. On realization of his mistake , the moon requests Goddess Parvati to excuse him. In order to excuse him Goddess Parvati directs all the human beings to celebrate Ganesh Chaturdhi to make their life prosperous. So, basically the festival was celebrated because of the moon. Reason : laughing. But here when we see the idols that are being set up behind the scriptures, it makes us laugh. If you see an idol made based on movies, we remember the respective lead character but not Lord Ganesh. Indirectly we are committing the same mistake again. So this attitude of people should change. Hope we all collectively will be changing this situation.